Snow guards are a popular addition to many homes and other buildings in the Perry Hall, Maryland, area, due to the heavy snowfall we experience during the winter season. 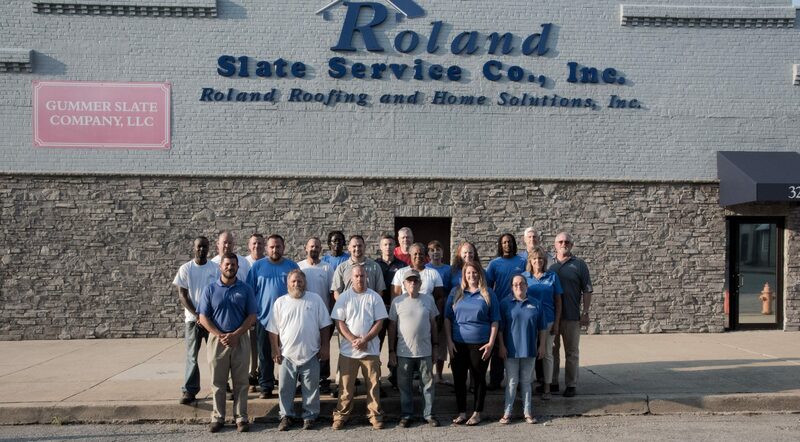 If you would like to protect your home or business from the short- and long-term damage that can be caused by unchecked falling snow and ice, the company to turn to with confidence is Roland Slate Service Company. We have been providing residents in the area with comprehensive home improvement solutions since 1989, and we would like to do the same for you. Ice damming – This can cause moisture to leak into your roof over time, weakening its structural integrity and damaging the surrounding walls. Falling snow and ice – This presents a danger to pedestrians, landscaping, foliage, and personal property underneath your roof, which can easily be prevented with our snow retention systems. Unchecked snow melt – Over time, melted snow and ice can lead to topsoil erosion around the exterior of your home or business, which can result in the need for costly repairs. Snow guards help to properly channel snowmelt, reducing this risk. 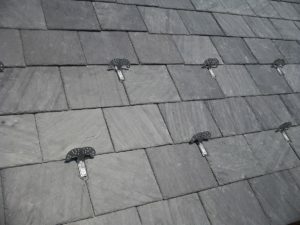 To learn more about the problems that can easily be avoided using our snow guards, contact Roland Slate Service today and set up an appointment at your Perry Hall, MD, home or business.